Prepare to be amazed! Come and see this luxurious 4 bed, 5 bath property now for sale in Gold Canyon! 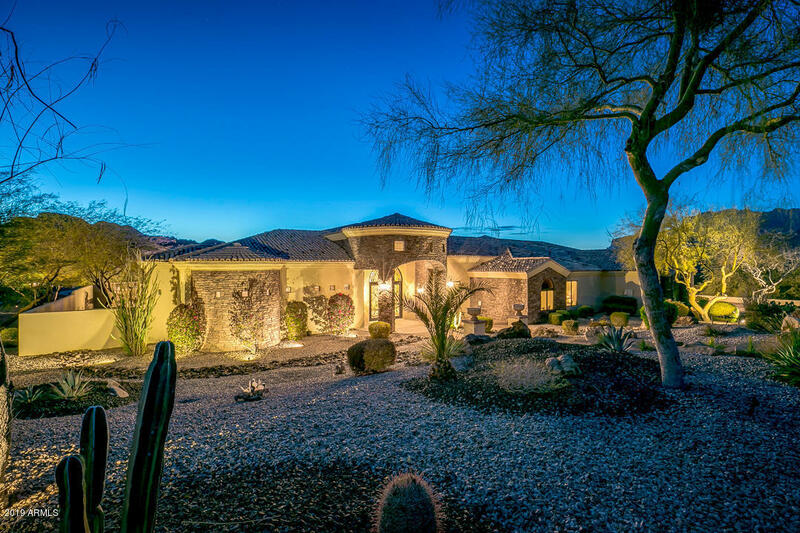 Featuring desert landscaping, 6 car garage, RV gate, formal dining and living areas, a cozy fireplace, a den perfect for an office, and neutral paint throughout, this home is simply a dream come true! The fabulous kitchen offers ample cabinetry, a walk-in pantry, granite countertops, tile backsplash, stainless steel appliances, and a charming island. The grandiose master bedroom boasts a private entry, a full bath with double sinks, separate tub and shower, a 2nd fireplace, and a spacious walk-in closet. The stunning backyard includes a covered patio, paved and grassy areas, fire pit, and a refreshing spa! Homes this great never last long, hurry and schedule a showing today!